Hi guys , i'm glad to see that after many years , modding on spore is still living. I installed it manually , no problem ... but all file in DATA_EP1 , so i had color bug with core part , like origina eyes . 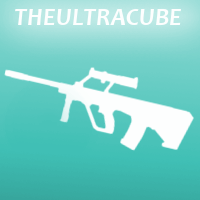 i made a creation and after that saw this problem ... and put zArenas_RDX9 and" zArenas_Textures" in DATA. but no more problem with core part's colors. I found out that is was "zArenas_Textures" who did that ..
if u guys have any idea about that ? Agraael wrote: Hi guys , i'm glad to see that after many years , modding on spore is still living. Yes, sounds like everything is working as intended. The nudge handles are available on the Darkspore-textured copies of most of the Core Spore and Creepy and Cute detail parts. so it's seems like "CB_Color_pack" use core part to make the colored one , since the core part where replace by the Darkspore-textured copies (with nudge handles) , they had the same property. So when you want to play a good game, play Spore! When i try to launch anything downloaded from this site it says either "SporeTM needs to be installed" or "The request operation requires elevation". I honestly don't know what causes this. And this is the steam version of Spore I have, I also have GA and all the components. Zaire82 wrote: When i try to launch anything downloaded from this site it says either "SporeTM needs to be installed" or "The request operation requires elevation". I honestly don't know what causes this. And this is the steam version of Spore I have, I also have GA and all the components. Zaire82 wrote: "SporeTM needs to be installed"
That occurs when you attempt to use the offline patch installers with the Steam version of the game. That...doesn't work. Steam Spore does patches through Steam, so you already have the latest patch. Zaire82 wrote: "The request operation requires elevation"
Whatever that is, run it as Administrator. Edit: Figured it out but I'm still curious as to why the Shimmer UI can't scroll. Why not just turn off the features you don't want? Why are you using such old versions of DI? 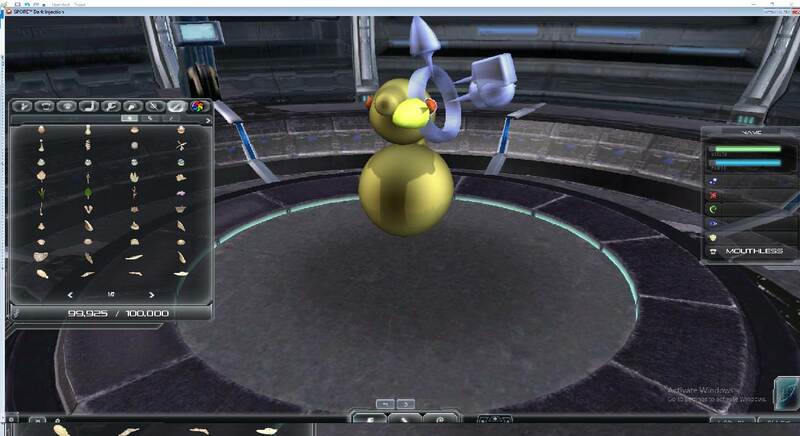 also i have the gog version of spore including dr pepper bot parts would that affect anything? 2.1.6 is the latest build of DI 9.r, yes. JordanB500 wrote: also i have the gog version of spore including dr pepper bot parts would that affect anything? However, if the bugs are that bad, don't you think it would be a logical course of action to report them? I put a button to do exactly that right there on the Galaxy menu, so don't try to convince me you didn't realize that was an option. also you dont want me to post about my problems on a thread named faq answers and fixes? this is literally the third or so visit to this site(well posting on this site anyway) honestly do you know how many dead sites i come across looking for this kind of thing? Okay, before I begin, I'd like to apologize for all the trouble I've caused you. I am sorry for that, and hope that, in future updates, I'll be able to get these problems sorted out. Additionally, I should note that the DI Installer was somewhat of an afterthought for the current Public Beta, so it was...rushed, unfortunately. Many improvements have been made internally, if that's any reassurance. I appreciate that you've stayed with me in spite of all that, so we can fix these issues. Do you mean that some of the categories you've enabled in the DI Installer or Configurator aren't appearing in the game? ...can I get a screenshot of that? That's the kind of thing I can only fix on a per-case basis, so I need to know exactly where and when it happens. Unfortunately, I'm not the best at working off of a description, so images would help. Exactly which DI Components did you have enabled at the time? ...okay that's just weird...you do have GA and Patch 5.1 or higher, right? Looking into that as we speak. That's not what I said at all, of course I'm happy to answer questions and help resolve issues on the FAQ thread. I was just a bit concerned about things not working, and was somewhat lost as to...why exactly you hadn't reported the issues at the time. However, you've since done so, so thank you for that. Many people wonder about that. Unfortunately, I don't know of any answers. Also...this is the Dark Injection FAQ, and that isn't a Dark Injection-related issue. ...wait, what? There are plenty of differences...pretty much all of them are optional, though. Well yes, obviously DI 8's uninstaller is less likely to break than DI 9.r's, since the former doesn't even have an uninstaller. Hello Davo! May I ask you if exists a mod/DI package like Editor_LC which gives the modded camera (sooo useful because you can even edit under the foot of the creature), without the unlimited complexity limit?